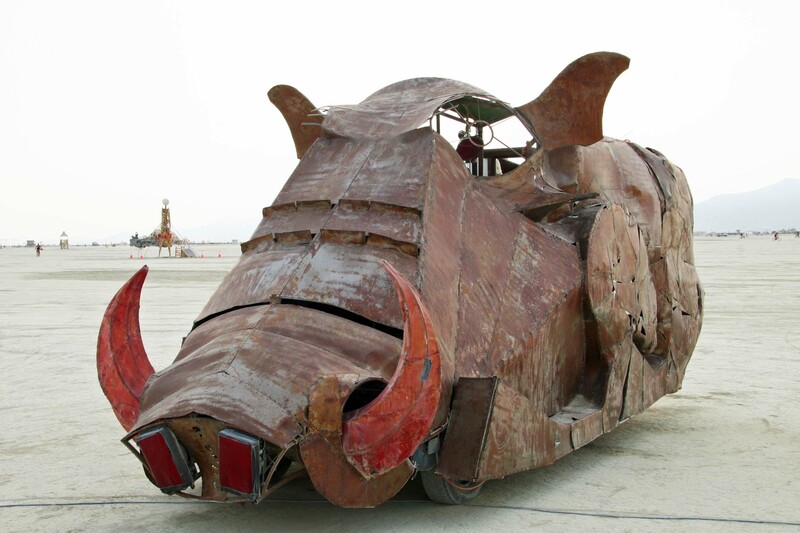 The tusks on this mammoth are what make this art car one of my favorite mutant vehicles at Burning Man. People sit inside the rib cage. The driver climbs into the head. 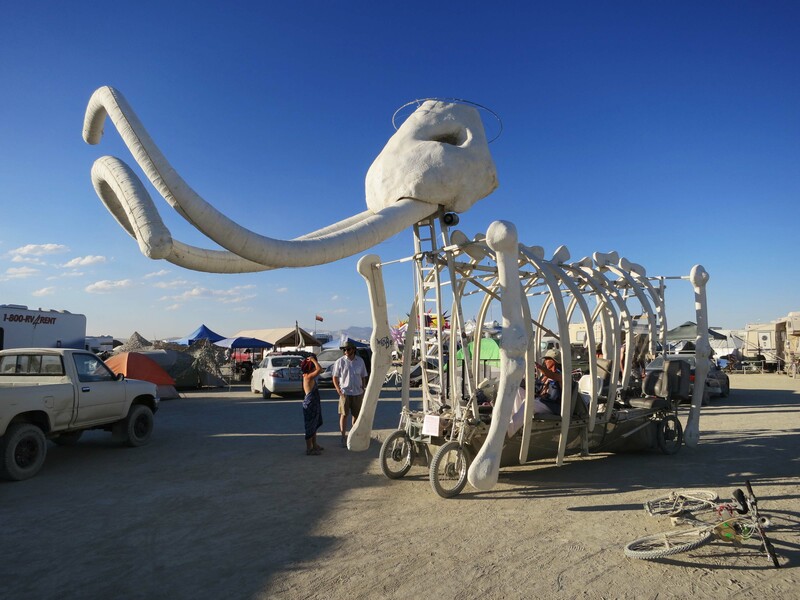 I am going to be on the road for the next few weeks, so I decided to produce several blogs that might be of interest to my readers but would be easy for me to do: Voila—The Best Of Burning Man series! 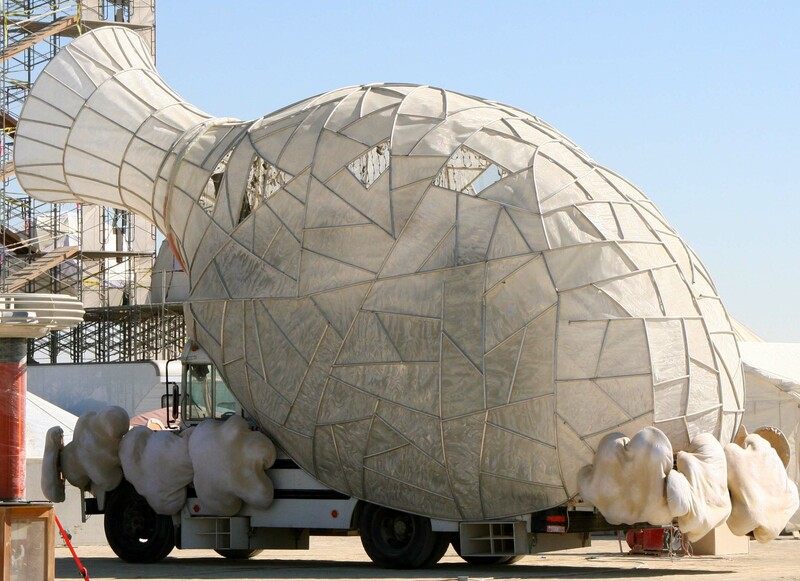 I’ve now been to Burning Man for ten years starting in 2004 (and will be going again in 2015, assuming I get two tickets and a vehicle pass). Each blog will feature a top ten category such as top ten sculptures, mutant vehicles, etc. Basically, this series will include a brief introduction and then my top ten choices. There may be captions on my photos, or not. Finally, while Peggy and I have taken the majority of these photos, I have also included photos from Tom Lovering, Beth Lovering, Don Green, and Ken Lake… all members of our ‘tribe,’ and friends. Some of the mutant vehicles are quite artistic. The best of these creations are jaw dropping unique. 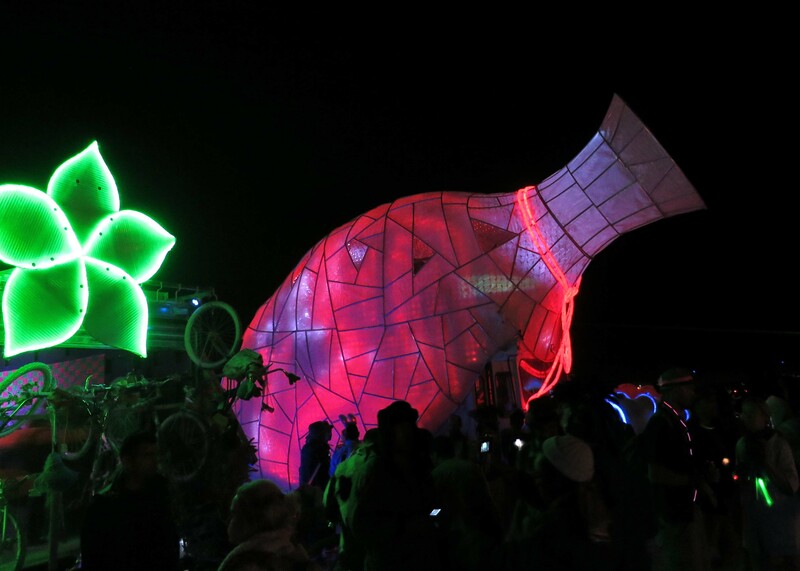 Most mutant vehicles take on a totally different persona at night when the Playa becomes magical with their comings and goings. I’ve included an example. Here are a few of my favorites. If you have been following my blog for a while, they will be familiar. 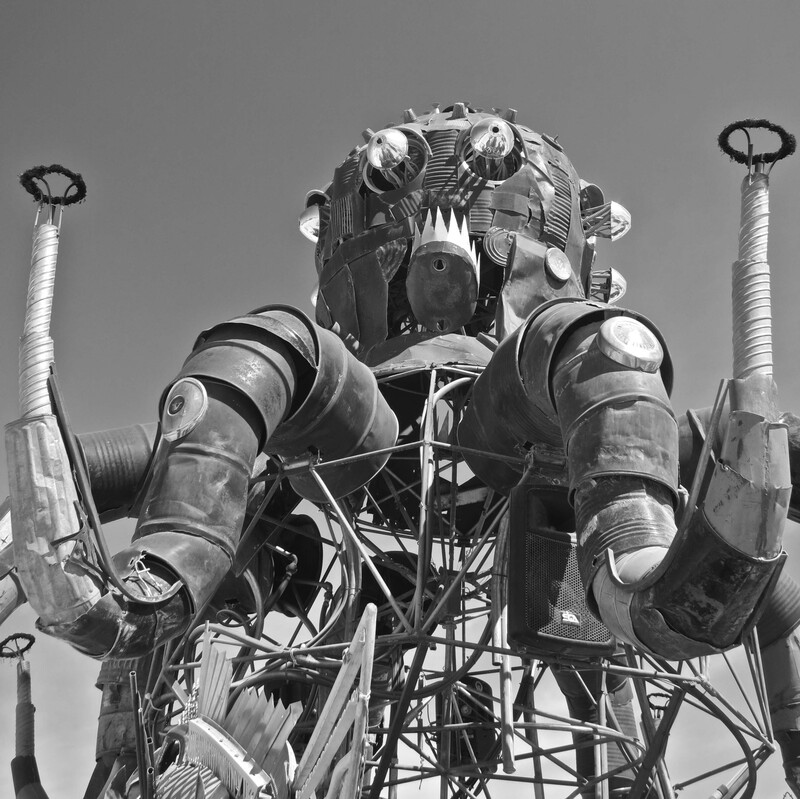 El Pulpo Mechanico became an instant Burning Man classic when it first made its appearance on the Playa a few years ago. At night, its arms pump up and down shooting out fire. 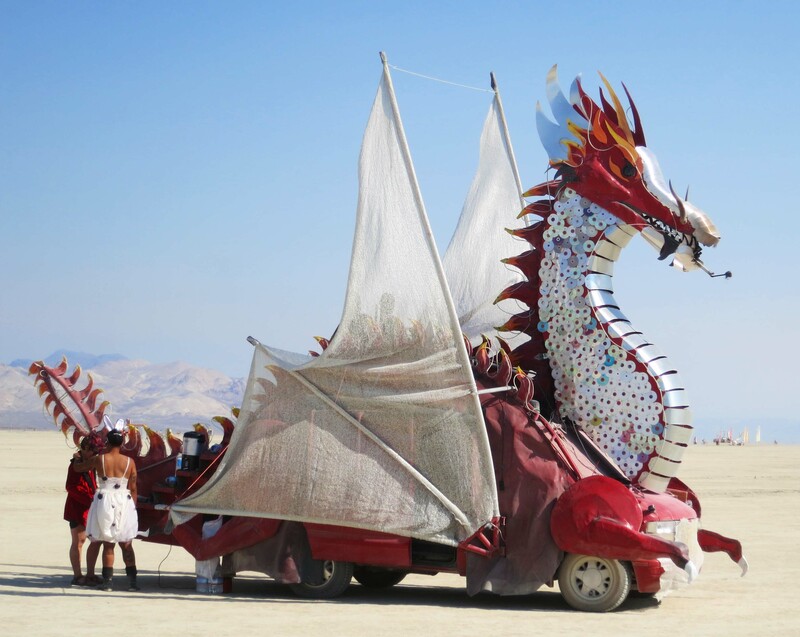 Fire breathing dragons are also perennial favorites at Burning Man. 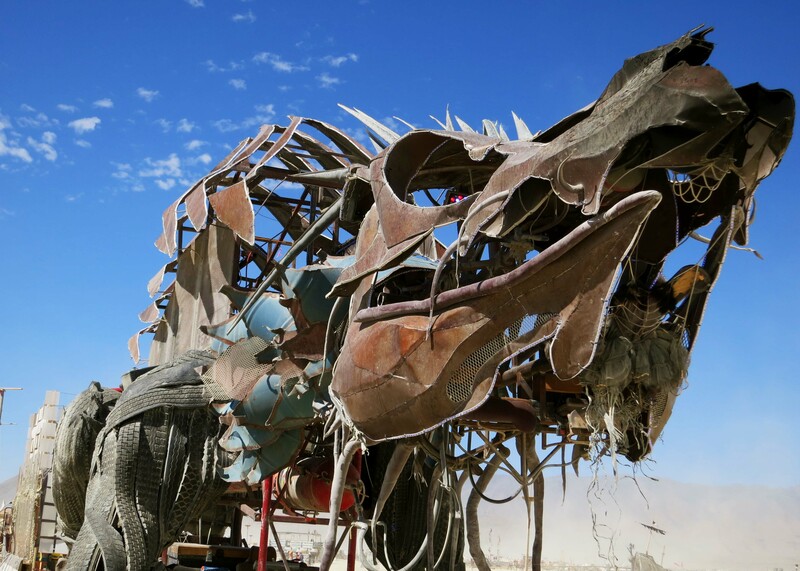 Another, more ferocious looking dragon in Black Rock City. Mutant vehicles, such as this vase, take on different personalities at night. 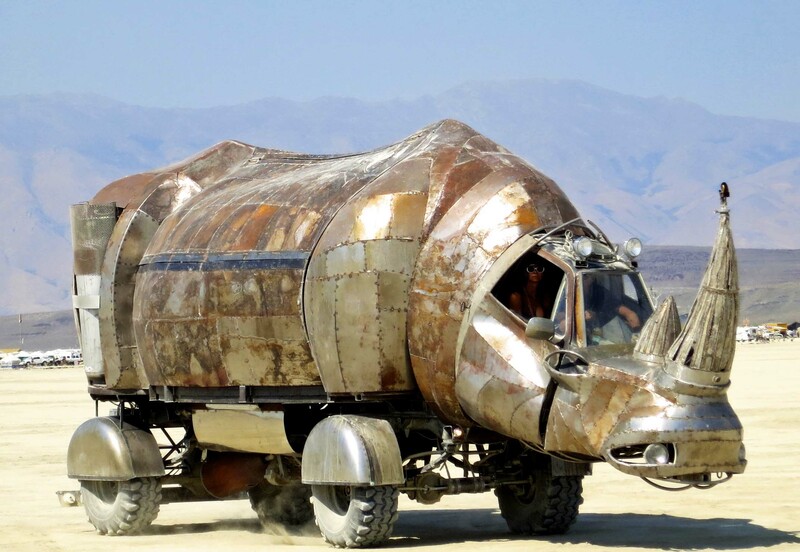 The same mutant vehicle vase shown above, parked in Black Rock City during the day. 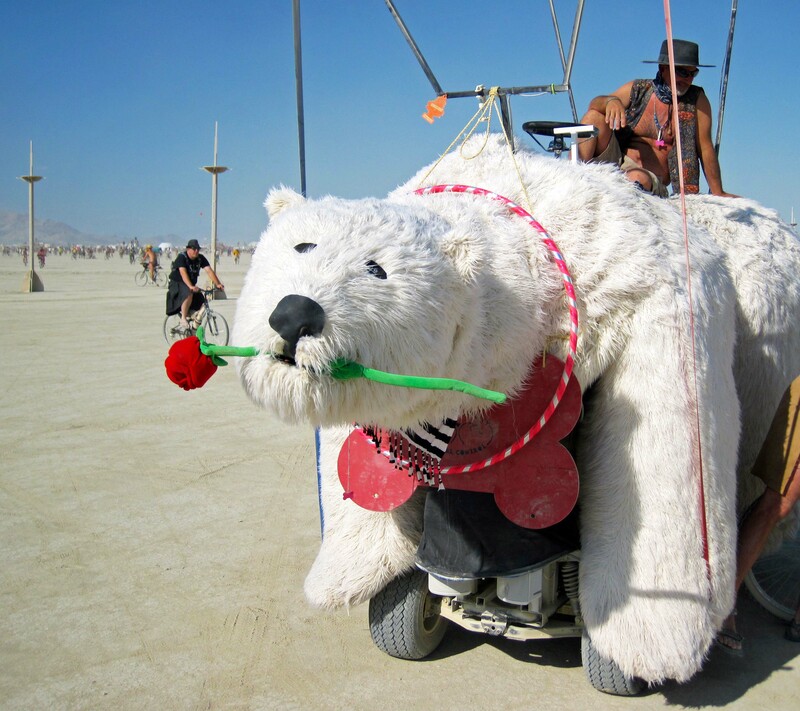 Smaller mutant vehicles often brim over with character, such as this polar bear with its red rose. 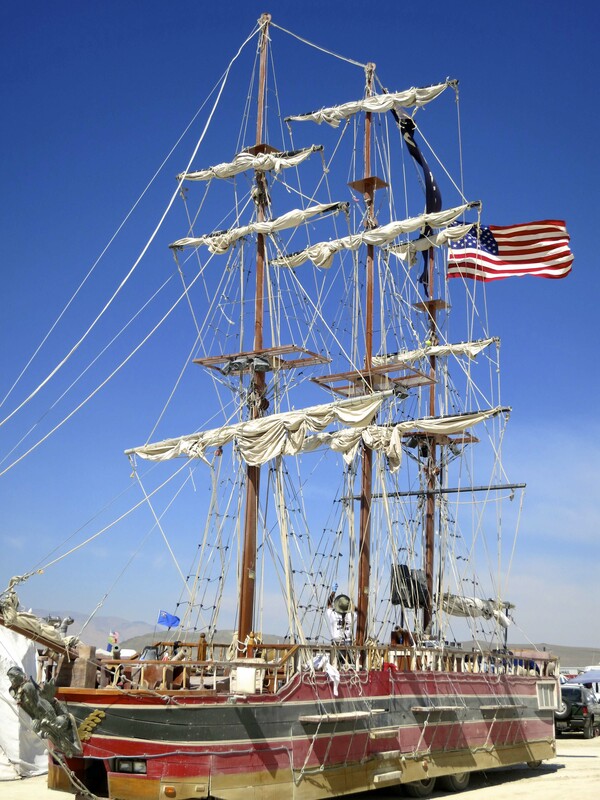 The sailing ship I mentioned above. And finally, a wart hog. 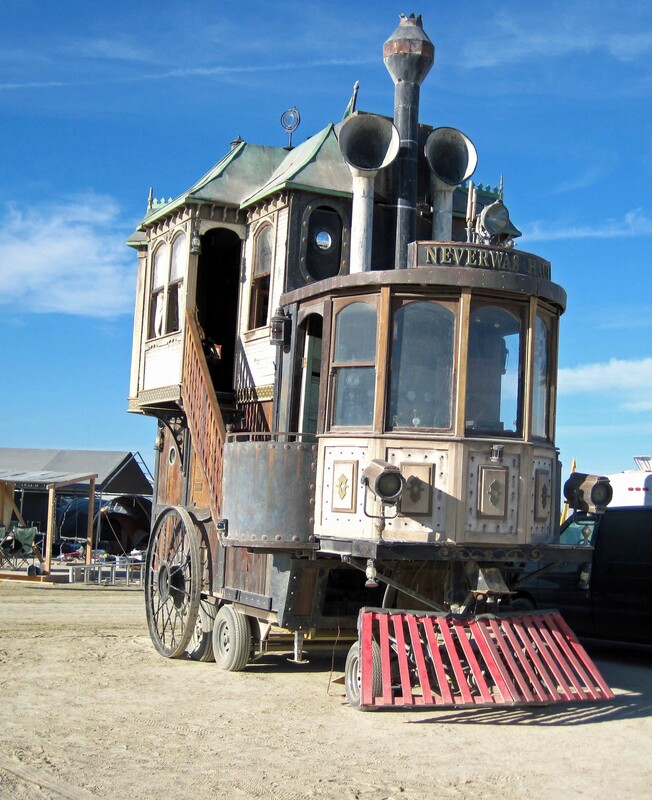 NEXT BLOG: The buildings of Burning Man.